Plus, some information about Level-5's other plans. A new Professor Layton game is planned for release in summer 2018, according to the September issue of License Global magazine, which features an interview with Level-5 Abby senior vice president of marketing and licensing Simon Waldron. 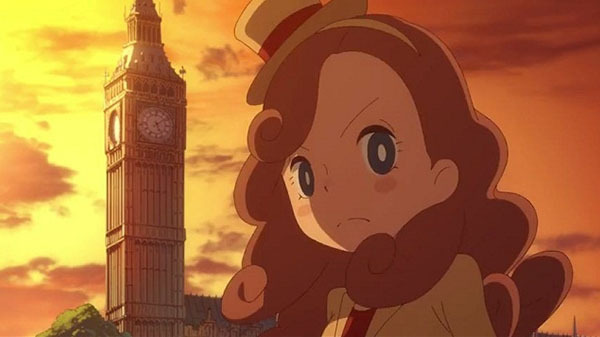 Additionally, the latest issue of Total Licensing Magazine reports that a television anime series based on the Professor Layton is in development for a 26-episode broadcast in 2018. Level-5 is currently planning to reboot its classic video game property Inazuma Eleven (Editor’s Note: Though not specifically mentioned, it is likely referring to Inazuma Eleven: Ares). The rebooted franchise, which is grounded in soccer (or football, depending on where you hail from in the world), will retell the original story in a slightly altered way and be available on “Nintendo platforms.” As a sports-driven game, Level-5 will aim to secure traditional licensing partners spanning apparel and footwear, as well as publishing. The company is also developing a suite of anime content to coincide with the game and is currently looking at additional digital elements such as digital stickers to tell the brand’s story. For Yo-kai Watch, Level-5 is currently preparing to premiere season three of the TV series, which will broadcast across Europe and North America in early 2018, and will be supported further by a raft of new toys, publishing, and more. The company is also releasing a new Yo-kai Watch video game this fall (Editor’s Note: This is likely referring to Yo-kai Watch 2: Psychic Specters) to coincide with stories from the upcoming season. Additionally, Level-5 recently launched a new video game property in Japan, titled Snack World. The new game features physical, collectible pieces that interact with the game by enabling new challenges, adding new powers, and more. Looking ahead to 2018 and 2019, Level-5 hopes to introduce the brand to its European partners (Editor’s Note: This is a European magazine) in order to develop a robust consumer products program similar to its model for Yo-kai Watch.